Being the most important market place for the international jazz community, jazzahead! takes place in Bremen, Germany between the 25th and 28th of April 2019. Norway is this year’s partner country, which entitles a city-wide festival including a very own gala concert with Norwegian artists and an exclusive showcase evening called “Norwegian Night”. 95 Norwegian bands applied for the show and the eight jury-selected artists were announced during a press conference at Winter Jazzfest in Manhattan Friday. The fest attracts the music industry, as well as media from across the world, and numerous international players were present at the release event that took place in the residence of the Norwegian Consulate General in New York City. In addition, DJ Strangefruit will play the Norwegian Night Afterparty. 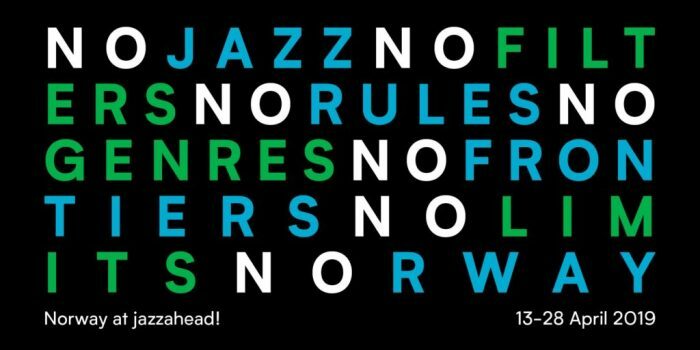 Norway will also be the focus point of jazzahead! Festival, taking place two weeks prior to the fair and presenting highlights from Norway’s cultural scene. 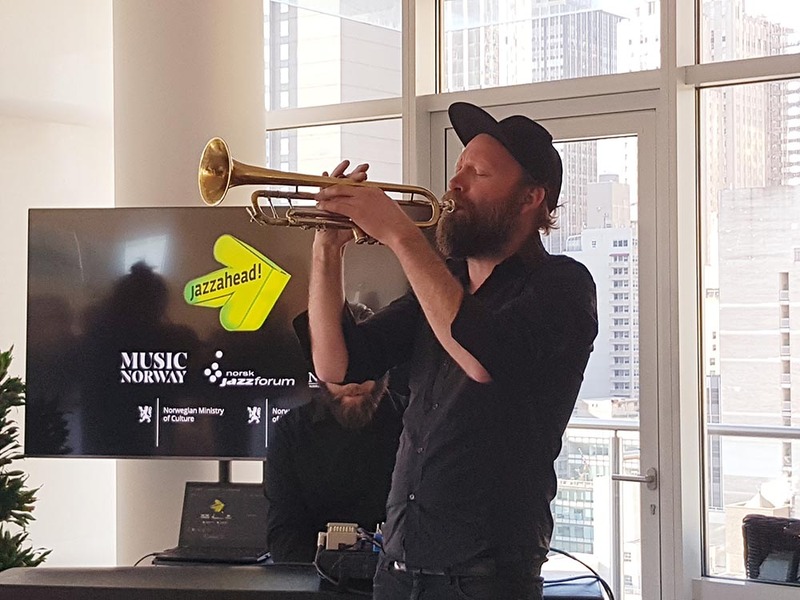 Gry Bråtømyr, the director of Norsk Jazzforum, took part in the release event in New York: – I have been really excited to see which artists and bands were chosen to play this year’s jazzahead!, and I have to say I am quite pleased with the outcome. Ideally, I would have liked to see even more artists, since Norway is filled with fantastic jazz musicians. However, the jury’s choices give us a wide spread of some of Norway’s finest talent, she says. Ulrich Beckerhoff, trumpeter and member of jazzahead!’s artistic direction team, is quite pleased that Norway is the partner country in 2019: – If there is a country in Europe whose music scene has artistic diversity, great individual musicians, a closeness to nature and a close affinity with its own musical tradition, all of it blending naturally with the sounds and electronic sound possibilities of the 21st century, then Norway must surely be named in first place. Norway’s music scene is inspiring, innovative and of incredible diversity. In a word: sensational. Norwegian artists and industry gather annually in Bremen to meet their international network and to book concerts, tours and make deals with international partners. – The Norwegian focus at this year’s jazzahead! has mobilized the jazz scene here in Norway, something I am very glad to see. For us, it has been important that this focus sees a wide engagement, and it also confirms that jazzahead! is an important starting point for an international career. We need to build relationships and create a base of income for the future that will prosper and grow, both artistically and economically, says the director of Music Norway, Kathrine Synnes Finnskog. Strønen has cooperated with musicians such as Nils Petter Molvær, Bobo Stenson, Jim O’Rourke and Sidsel Endresen. Time is a Blind Guide have released two albums on ECM Records, and the ensemble’s concert at Cheltenham Jazz Festival (UK) was voted as last year’s best concert by BBC Radio. Since the beginning of 2015, this energetic and uncompromising avantgarde trio have toured around the world. In 2018 they released their critically acclaimed “Live in Europe” album, which recently appeared on the New York City Jazz Records list of last year’s best albums. Gard Nilssen is also “Artist in Residence” at Moldejazz 2019. Accordion player, composer and band leader Frode Haltli, saw his debut album on ECM in 2002. Since then, he has established himself internationally and played with orchestras at popular contemporary festivals around the world. The big ensemble Avant Folk maneuvers between folk music, jazz and contemporary music, and includes some of Norway’s best musicians with a wide mix of ages and genres. Espen Berg Trio, Espen Berg (piano/compositions), Bárður Reinert Poulsen (bass) and Simon Albertsen (drums), play modern, melody driven and expressive jazz. Lately they have toured Europe and Asia with their critically acclaimed sophomore album, “Bølge” (Wave). Recently he started a collaboration with saxophonist Seamus Blake. With their music described by the Magazine “Classic Rock” as “Jazz Sabbath”, they have a continuously increasing international fanbase with their music. The trio has created their very own style and has played everything from small clubs to large concert halls and festivals around the world. They have released six albums on the respected Rune Grammofon label. Mollestad is currently writing a commissioned piece for Vossajazz i2019. Pop culture meets avantgarde in this ensemble. They have released two albums on Hubro, and the twelve musicians are involved in numerous high profiled bands such as Broen, Moskus and Trondheim Jazzorkester. They are said to bring a unique diversity and style to the musical world. They have quickly become a live favorite due to their assortment of instruments, ranging from a brass section, keys, guitars, two drummers, vocals, strings and accordions. As a musician and composer, Karl Seglem has developed a unique musical style inspired by jazz, folk and world music, in addition to creating his own trademark by playing the ram’s horn. Karl frequently tours Europe, and fall 2018 he released his critically acclaimed album, Nunatak. Paal Nilssen-Love is one of Norway’s most active and renowned drummers and is known from bands such as The Thing. He has also collaborated with various musicians; Arto Lindsay, Otomo Yoshihide, Ken Vandermark, Peter Brötzmann and Thurston Moore. Large Unit is a large ensemble consisting of young musicians from The Nordics who play Nilssen-Loves compositions with a lot of improvisations, energy and sound. The vocalist and composer has made a name for herself internationally with her unusual musical style and voice. Last year she released her fourth solo album, Traces of You, which originally was a commissioned piece for Global Oslo Music in 2016. The music is beautiful and moving, with an imprint from both West African music, Nordic Jazz and folk songs. One of Norway’s leading jazz vocalists has seen great success with the Trail of Souls project. The cooperation began with a concert at the Berlin Philharmonic spring 2014 and produced the renowned album Trail of Souls on the German label ACT, fall 2015. Mathias Eick has played with Trondheim Jazz Orchestra & Chick Corea, Jaga Jazzist, Iro Haarla and Manu Katché, and has released four albums on ECM Records. Eick’s newest, and critically acclaimed album “Ravensburg”, was released spring 2018. Even more Norwegian artists to be released with the complete official jazzahead! program later this month. Norway at jazzahead! 2019 is a cooperation between Norsk Jazzforum, Music Norway, NORLA, The Norwegian Embassy in Berlin, The Norwegian Ministry of Culture and The Norwegian Ministry of Foreign Affairs. It is a part of the focus on Norwegian culture in Germany 2019, which also includes the book fair in Frankfurt and film festival in Berlin, Berlinale.